AMMONNEWS - The Kingdom is expected to remain Monday under the impact of the cold air mass, creating cold and partly cloudy conditions in most regions with scattered showers, the Jordan Meteorological Department (JMD) said in its daily brief. Rainfall is expected to be heavier at times, accompanied by hail and thunder and forming floods in the valleys and the low lands, the JMD added. Snow flakes are also expected on the hilly areas and the southern parts of the country, while winds will be northwesterly brisk, picking up at times with a speed reaching 40-50 km/h, and stirring dust in the desert areas. Daytime temperatures expected for today in Amman and the northern cities will hover around 13 degrees Celsius, dropping down to 5 at night, while it will be colder in the southern governorates with mercury levels standing at 12 degrees during the day and sliding to 1 degree at night. The weather will be warmer in the port city of Aqaba with highs reaching 22 degrees Celsius and lows standing at 13, the JMD explained. Temperatures will slightly rise over the next two days, but they will remain below annual average. 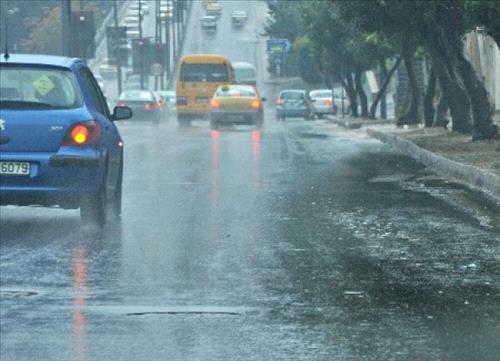 Therefore, relatively cold conditions will continue in most regions, while it will be pleasant in the Dead Sea and the Jordan Valley, with clouds at different altitudes. Scattered showers are also forecast across many parts of the country, with northwesterly moderate to brisk winds, stirring dust in the southern and eastern parts, the JMD explained.